Many who have been in the sales industry for years are beginning to experience what Greg Moore calls a “tectonic shift”: the future of selling looks very different than the past. That’s because the digital age has enabled buyers to be more in control of the buying process than they’ve ever been. Sellers need to adapt in order to be the best “future sellers” possible. 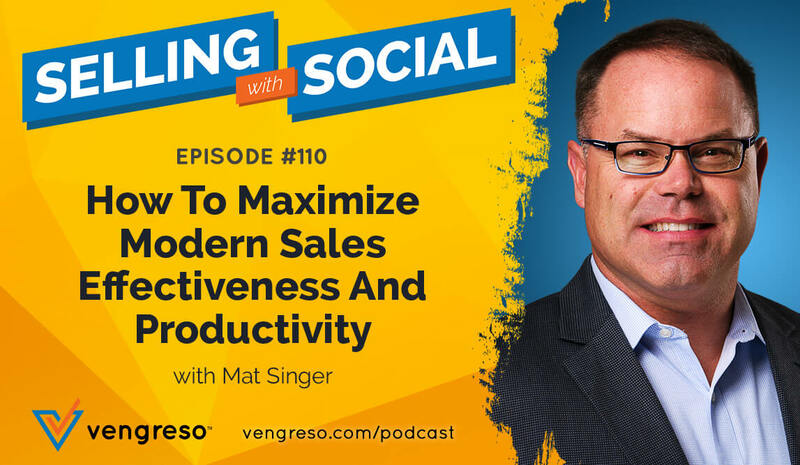 I invited Greg Moore, Growth Executive and Sales Transformation Expert at the Miller Heiman Group to share his expertise on the matter on this episode of #SellingWithSocial. Greg has been at Miller Heiman for 24 years, enough time for him to see the sales data that came in before the advent of digital sales technology as well as witness the seismic shift taking place today. In this conversation, we dig into the differences between selling the past and selling in the future but more importantly, we highlight what will make sales professionals successful in the future. You don’t want to miss it. In the past, the buying process for most consumers included connection with a sales professional early in the process. There was really no other way for a buyer to get the answers they needed regarding possible solutions to their problems. But digital has changed that forever. Now, the data reveals that 70% of the buying process is completed before a buyer ever reaches out to a seller. Why is that significant? Because it puts buyers in the driver’s seat of the process – which is great if they come to the conversation well informed. But if they come to the sales conversation confident but misinformed, sellers will have a harder time making the sale. In this conversation, Greg explains why sellers need to be skillful at having conversations that tactfully unearth errors in the buyer’s conclusions so they can be led to the solutions they truly need. Consider this scenario: A buyer comes to you after doing their own research convinced that they need your product or service, but they intend to apply it to their situation in a way that you know is not going to produce the outcomes they desire. Are you equipped to help them assess their needs from a different perspective and guide them to a better approach? The future of selling will require that you have that skill in abundance. No matter how well informed buyers are – both now and in the future – they don’t know what they don’t know. That’s because they are not immersed in the best and worst practices of their industry day after day like sellers are. Greg says that “future sellers” will be able to guide conversations beyond the initial conclusions buyers have to arrive at the right solutions for their problems. They will be consultative experts who add tremendous value to the buyers they serve. Independent VS Collaborative: In the old way of selling, successful sales professionals were solo performers. In the future, collaboration will be the way to success. 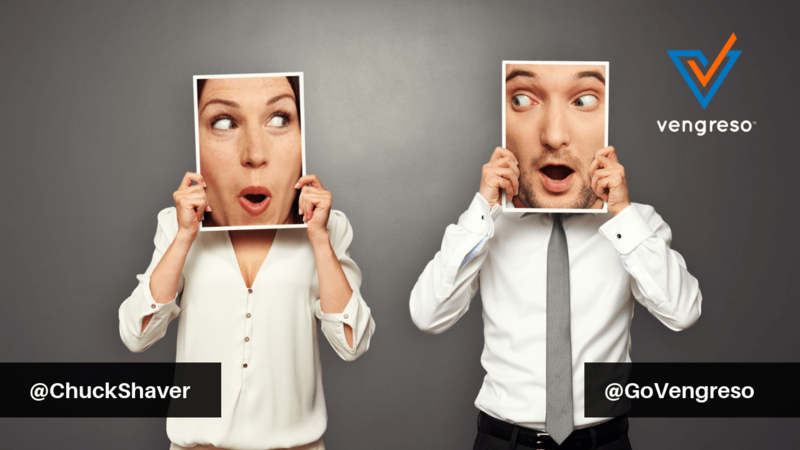 Transactional VS Interactive: Rather than focusing on a transaction as in the past, future sellers need to be able to focus on the interaction they are having with prospects/buyers in order to cultivate success in sales. Persuasion VS Co-Creating: There will always be a need for skill in persuading people to see what they have yet to see, but gone are the days when persuading a person to buy is going to bring success. Co-creating solutions with the help and input of the buyer is the route forward. Control VS Transparency: The old school way of selling kept the entire sales process firmly in the hands of the seller, only divulging certain things at certain points in the process. But now that buyers have access to most of the data they need even before speaking with a seller, transparency is in order. What Are The Tools That Will Move Us Into The Future Of Sales? 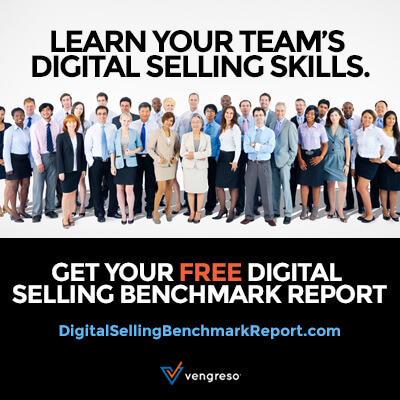 The common denominator of these tools is that they increase productivity and reduce the tedium of the sales job, taking the minutia off the seller’s plate so they can focus on the relationships and interactions that provide true value to buyers. This conversation is a fascinating look into the future of sales and what those of us in the sales profession can do to equip ourselves for future success. Don’t miss it! [10:25] What does the future of selling look like from Greg’s viewpoint? [13:50] What does it mean to sell with value? [31:56] Do the characteristics of future sellers translate over cultures and industries? [41:56] What tools should be in a sales professional’s toolkit?